So much is going on each month in the world of cybersecurity, online privacy, and data protection. It’s difficult to keep up! Our monthly security digest will help you keep tabs on the most important security and privacy news every month. Here’s what happened in September. The last week of September threw up one of the biggest pieces of news: 50 million individual Facebook user accounts were hacked Facebook Hack Affects 50 Million Accounts Facebook Hack Affects 50 Million Accounts Around 50 million Facebook users may have had their accounts accessed as part of a major security breach. Which isn't good news. Read More . Facebook reset the passwords of 90 million accounts, just to be sure, indicating that the final number of compromised accounts could rise. 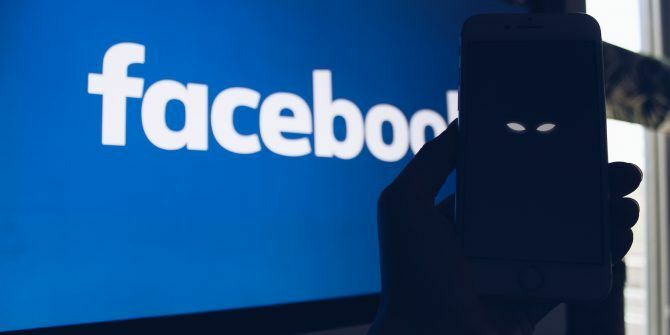 Attackers exploited a vulnerability in Facebook’s “View As” feature, which allows users to see what their own account looks like to others. Facebook’s vulnerability stems from three bugs. The first allows the Facebook video upload tool to appear on the View As page. The second lets the upload tool generate an access code. A final bug lets the View As page generate an access code for whichever user the hacker wants. If you were asked to re-login to Facebook today it's likely you are among the 90 million Facebook users potentially impacted by this hack. 50 million users impacted + 40 million Facebook says as added precaution. Initially, the only way to tell if you are a victim is if Facebook signed you out of your account without warning. However, Facebook now says it will post a message at the top of your News Feed if your account was involved. If you are a Facebook hack victim, here are four things you need to do immediately 4 Things to Do Immediately When Your Facebook Account Is Hacked 4 Things to Do Immediately When Your Facebook Account Is Hacked Having your Facebook account hacked is a nightmare. Here's how to secure a hacked Facebook account and contain the damage. Read More . Ministers from the Five Eyes governments—the U.S.A., United Kingdom, Canada, Australia, and New Zealand—met in Australia for the annual FCM. It was at this Five Country Ministerial that the above statement was drafted. However, further inspection of the joint statement reveals that the Five Eyes allies are threatening to introduce legislation compelling tech giants such as Apple, Facebook, and Google to provide “lawful access solutions” to their products. In other words: the governments of Five Eyes countries want encryption backdoors, and they want them now. My feelings on the recent Five Eyes Encryption Backdoor quagmire are simply this: Power Corrupts. Absolute Power Corrupts Absolutely. Any technology that permits unfettered access to encrypted data of the citizenry can and will be abused by governments. Unfortunately, it is just not possible. Creating a backdoor for one person doesn’t stop it existing for others. Once the encryption backdoor is open the security of hundreds of millions of other law-abiding users evaporates. It isn’t an issue that’s going away any time soon. Furthermore, there are numerous arguments against breaking encryption Why We Should Never Let the Government Break Encryption Why We Should Never Let the Government Break Encryption Living with terrorist means we face regular calls for a truly ridiculous notion: create government accessible encryption backdoors. But it's not practical. Here's why encryption is vital to day to day life. Read More , but very few for. At times, encryption breaking tools such as GrayKey What Is GrayKey? A Tool That Breaks iPhone Encryption and Passwords What Is GrayKey? A Tool That Breaks iPhone Encryption and Passwords Encryption is vital for privacy and security, but iPhones are now at risk thanks to GrayKey. Read more about GrayKey and why it has Apple so worried. Read More pop-up to give law enforcement a break, but they are few and far between. Other countries are considering an alternative approach. For instance, German Interior Ministry documents reference the use of Remote Communication Interception Software to target iOS, Android, and Blackberry devices without having to rely on service providers like Apple, Google, Facebook, and so on. Police installing backdoors on the devices of their suspects? That’s another story. The stolen information contained the personal and financial information of any customers who booked with BA during that period. It didn’t, however, include the passport or identification document data for those customers. Speaking on BBC Radio 4’s Today on Friday program, BA chairman and CEO Alex Cruz said the hack was “a sophisticated, malicious criminal attack” and that BA are “extremely sorry for what has happened.” Cruz also promised that BA was “100 percent committed” to compensating any affected customers. Researchers traced the hack to a group called Magecart who are also responsible for recent attacks on Ticketmaster and Newegg. This #BritishAirways hack sounds exactly like the #Ticketmaster hack etc. They probably loaded a (.js) script from somewhere that was compromised and loaded it on the payment pages. CSPs wouldn’t even mitigate this sort of attack either. Don’t load scripts on payment pages! Security researchers at ESET discovered the first-ever UEFI-based rootkit in the wild. The rootkit allows a hacker to install persistent malware on a vulnerable system What You Don’t Know About Rootkits Will Scare You What You Don’t Know About Rootkits Will Scare You If you don't know anything about rootkits, it's time to change that. What you don't know will scare the hell out of you, and force you to reconsider your data security. Read More with the potential to survive a full-system format. The discovery of a UEFI rootkit is particularly galling as UEFI systems have traditionally remained secure What Is UEFI And How Does It Keep You More Secure? What Is UEFI And How Does It Keep You More Secure? Read More against such threats. However, the rootkit presents a significant problem as it requires a full motherboard firmware flash to remove; your regular antivirus and antimalware programs won’t get near the rootkit The Complete Malware Removal Guide The Complete Malware Removal Guide Malware is everywhere these days, and eradicating malware from your system is a lengthy process, requiring guidance. If you think your computer is infected, this is the guide you need. Read More . The rootkit, known as LoJack, is thought to be the work of the infamous Russian-government linked hacking group, Fancy Bear. The hackers modified Absolute Software’s legitimate LoJack laptop anti-theft tool. The tool installs to the system BIOS to survive a system wipe. The modification replaces parts of the original LoJack code to rewrite vulnerable UEFI chips. How do you protect against the UEFI rootkit? The easiest method is keeping UEFI Secure Boot turned on How to Disable UEFI Secure Boot to Dual Boot Any System How to Disable UEFI Secure Boot to Dual Boot Any System Installing a second operating system on some Windows computers can be difficult thanks to UEFI. Here's how to disable UEFI Secure Boot and dual boot any operating systems you like. Read More . Your system firmware will then reject any file without a proper verification certificate, keeping your system safe from harm. The indictment alleges that North Korean programmer, Park Jin Hyok, worked for a government front company with offices in China and the DPRK. Park and his colleagues are alleged to have engaged in malicious activity on behalf of the North Korean military. The hacking group is also thought to be responsible for the unsuccessful hack attempt against Lockheed Martin. The group is also responsible for attacks against the Bank of Bangladesh, the Banco del Austro in Ecuador, Vietnam’s Tien Phong Bank, and a number of cryptocurrency exchanges. The North Korean government hit back at the US indictment, labeling it a “smear campaign”. It also claims that Park is a “non-entity”. Understandable, given the circumstances. Data management firm, Veeam, exposed 445 million records for around ten days. The US Attorney’s Office revealed how the Mirai botnet creators are helping the FBI investigate “complex” cybercrime cases. Their assistance keeps them clear of prison. Uber picked up a $148 million fine for their 2017 data breach. The average DDoS attack size has quintupled in size, to 26Gbps, according to Nexusguard. A huge amount happens every month in cybersecurity, privacy, data protection, malware, and encryption. Check back next at the beginning of next month for your October 2018 security roundup. In the meantime, check out these five security breaches that might have put your data at risk 5 Recent Data Breaches That May Have Put Your Data at Risk 5 Recent Data Breaches That May Have Put Your Data at Risk It can be hard to keep up with all the latest online security hacks, so we've rounded up some of 2018's most notable breaches. Read More ! Explore more about: Facebook, Online Fraud, Online Privacy, Online Security, Ransomware, Surveillance. As I wrote at https://itrate.co, whatever their age, we can help you to find out more about what they might be doing online and give you some simple, practical and easy advice on the steps you can take as a parent to keep them as safe as possible.